The American Jazz community is jarred once again by the passing of trumpet master,Clark Terry (94). He was considered a major influence on trumpet coming out of the swing and Bebop eras, while bringing style and hip humor to generations of musicians, including Miles Davis and Quincy Jones. 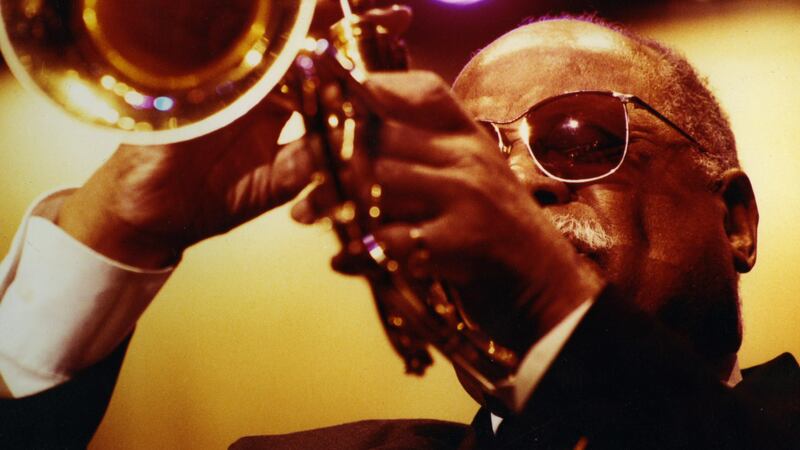 The seventh of 11 children, Clark Terry was born into a poor St. Louis family on Dec. 14, 1920. Louis Armstrong was his mentor. Dizzy Gillespie once described him as “the greatest trumpet player on earth.” My first experience with Terry was where he’s playing solo with Doc Severson and the Tonight Show Orchestra with Johnny Carson. Often, his stage signature tune was a humorous vocalese- based riff tune called mumbles. 1960s, Terry went on to record an entire monologue based around the mumbles character having an argument with his girlfriend , thus, it was his calling card over the decades of his career. I kind of saw him as another Hipster like Dizzy,with the Tam and big glasses, who played trumpet on the top shelf. when injecting humor and style into his personality, that made watching him so cool .He was also one of the first black musicians to hold a staff position at a television network ,and was for many years a mainstay of the “Tonight Show” band. One of the most high-profile proponents of teaching jazz at the college level. Clark was a well respected , serious Jazz musician with a great sense of humor. Also, a perennial favorite at all the traditional Jazz festivals. He will be sorely missed by all of the jazz audiences around the world and right here in the USA. 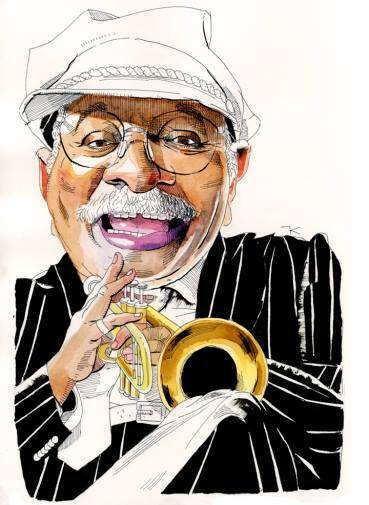 RIP CLARK TERRY… You were the Best of the Best! you know like I know he was monumental. Thanks man!